Maebe A. Girl, an L.A.-based drag queen known for her satirical impressions of Melania Trump, Betsy DeVos, and Sarah Huckabee Sanders, recently became the first drag performer elected to public office in California. Maebe has been elected to the Silver Lake Neighborhood Council, where she hopes to fight for the rights of the unhoused, protect LGBT residents, and make the streets safer for pedestrians. Maebe is already known to locals as producer and host of the weekly Green Eggs & Glam—a drag brunch at the Lyric Hyperion Theatre & Cafe in Silver Lake where she performs impressions of Trump officials. Her own political awakening happened in Chicago, where she volunteered as an overnight supervisor at the Lincoln Park community shelter. She says wants to connect Silver Lake’s sizable homeless population with more resources and services, including HIV testing. She credits drag with helping her understand her own gender identity. “Whenever I’m in full drag, it doesn’t feel like a costume, it just feels like an extension of me,” she says. Maebe identifies as non-binary and uses both “she/her ” and “they/them” pronouns. 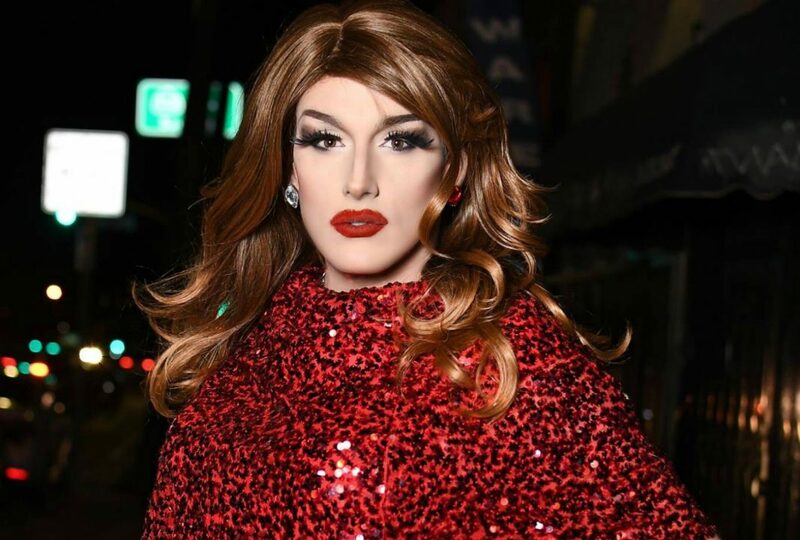 Maebe joins number of drag performers who have gone into politics, including Jose Sarria, the first drag queen and first openly gay candidate to run for public office in the U.S. More recently, Drag Race Thailand debut-season winner Natalia Pliacam ran for Parliament in Thailand.